I don't know about your kids, but mine are obsessed with simulation games. We have a truck driving, bus driving and even a goat simulator game! 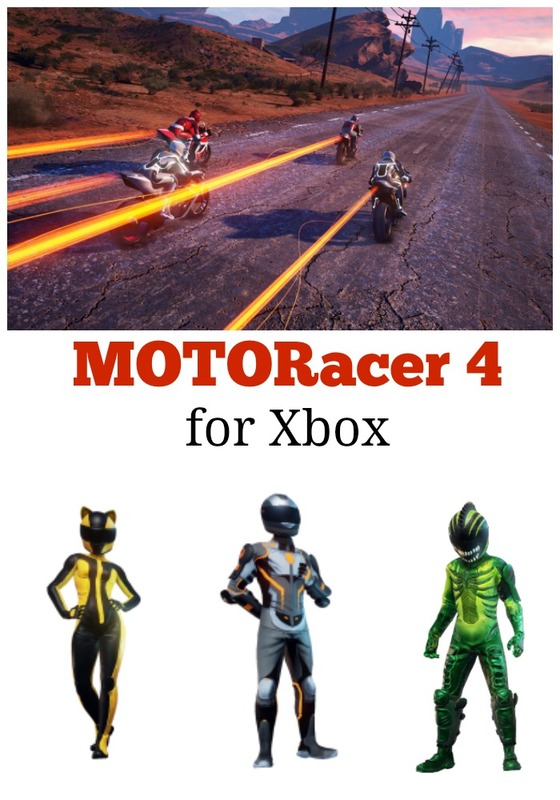 So when the PR company for the new, child-friendly motorcycle racing game, Moto Racer 4 reached out to see if we were interested in reviewing the game, the kids said, "YES!" Last fall, we made the switch from our much-loved Wii U, to an Xbox. I wanted to keep the Wii U, but my teenager really wanted the live-action sports games available on the Xbox, so we switched. Except for the Mario games, we were able to get our favorites for our new Xbox. Paired up with our upgraded Xfinity from Comcast, our gaming experience has really gotten sophisticated. Moto Racer 4 is plug and play with simple controls that provides the thrills and excitement of motorcycle sport action, from the comfort of your couch, with no learning curve. My kids make fun of me because I am TERRIBLE at video game driving. It takes me nearly 5 minutes to turn my car around in Lego Marvel Superheros, much to the delight of my giggling children. My 10 year old installed Moto Racer 4 on our Xbox, and was soon playing up a storm. He loves the graphics and declared the game, "A winner! 10 out of 10 and I'd play it again." My teenager, who is learning to drive a real-life vehicle on the real streets (YIKES! ), also said the game was a lot of fun and challenging. He enjoyed the different modes of play and character choices. With Moto Racer 4, parents can pick up a quick game in split-screen, multiplayer mode or even decide to organize a family championship. If video gaming isn't your thing, you can let your kids sharpen their skills while progressing on their own through the career mode. Choose from 100+ motocross and asphalt challenges combining both extreme speed and freestyle. 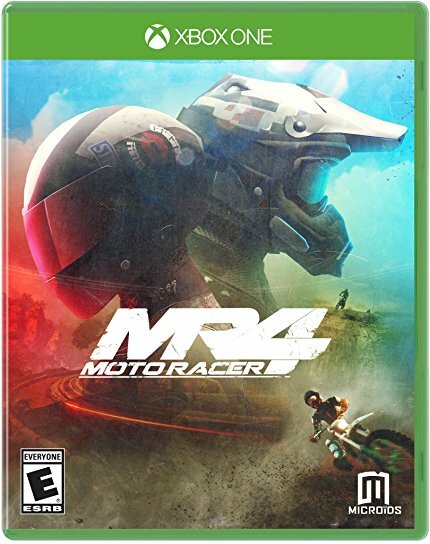 Moto Racer 4 is rated E for Everyone by the ESRB and launches TODAY, January 24th for Xbox and PS4. The game retails for $39.99 at Amazon. On behalf of Microids, Homerun PR would like to offer two lucky blog readers a FREE digital download for Xbox. Simply leave a comment below, before midnight on January 25th. Two random commenters will be selected. You must have and supply a valid email to win. I received a game to facilitate my review. Amazon affiliate links are included in this post. This looks like it would be a hit with the whole family! My kids would love to play this game! My sons would enjoy playing this game.